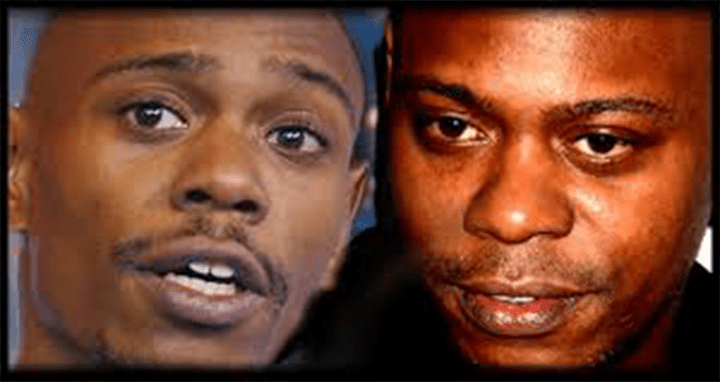 Dave Chappelle was killed and cloned by the Illuminati, according to his cousin who claims the comedian’s physical appearance changed after his return from exile in Africa and appearance on the Oprah Winfrey Show. Dave Chappelle is one of those famous people who was not born into fame. The Illuminati prefer to put their own bred stooges into positions of power, whether politicians or celebrities. If it can’t be one of their bloodlines then it is an MK Ultra victim, for example Britney Spears, Katy Perry, or Kanye West, someone who they have brainwashed since infancy, someone they know will follow their agenda. 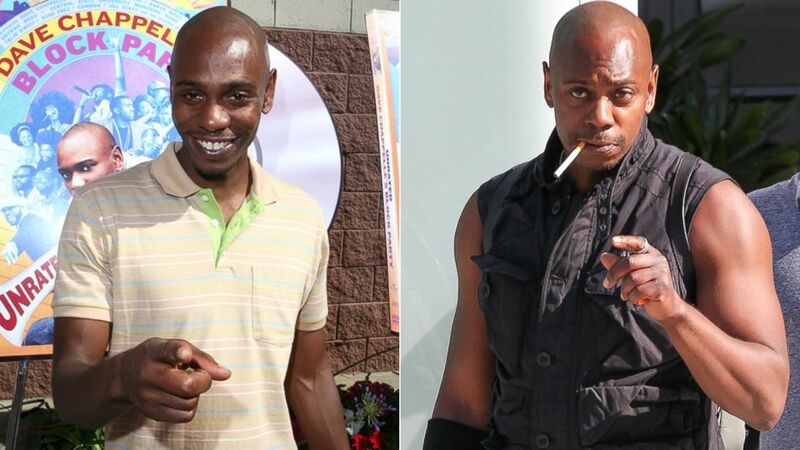 Fans claim Dave Chappelle has been acting very differently, and even looks different, since his return from self-imposed exile in South Africa. They also gather people through blackmail and sellouts, they like people so desperate for fame that they will sign a contract in blood, selling their soul to the wicked industry. These are the people like Jay-Z who know what is going on but do not care, as long as they get their paycheck. Truth Scrambler reports: Dave Chappelle, at least initially, did none of these things. He was unique in that regard. He got famous with stand-up and eventually earned his own show on Comedy Central called the Chappelle Show. Since he was an independent writer/actor/performer, he had free rein on this show and what we saw in those two seasons was something fresh, original and not scripted by the industry Illuminati. There was no hidden agenda, just an honest look at race, society, and whatever Chappelle felt like covering. Now according to his cousin’s testimony, at this point Dave was called into the executive’s office, and was seated at a round table of rich exec Illuminati types who basically told him he needed to cut out some of the material that he was doing. Specifically they had a problem with his depiction of black people. They didn’t like his honest take on certain characters and portrayals because, according to his cousin, they were grooming Obama to become the next president, and felt this being threatened by Dave’s show. When Dave refused to compromise his creative license and artistic vision, they offered him $50,000,000 to change the show to the way they wanted. Again Dave refused. He left that meeting badly shaken. It sounds like he had a run-in with the Illuminati and was feeling implicitly threatened by some very powerful people. It was at this point that he fled to Africa. The media portrayed it the same way they do whenever a controlled celebrity begins to break down due to Illuminati pressure: they say he or she is having a psychotic break, a meltdown, a mental breakdown, you name it. They said Dave was overwhelmed by the fame, couldn’t handle the pressure. Dave had nothing of the sort. He loved the limelight. No, he experienced a brush with something very powerful and sinister and was scared out of his wits. He was careful not to name names or get specific about it during interviews, but if you read between the lines and combine that with his cousin’s testimony, you get a clear picture. He needed to get away, so he went to Africa, without even telling his wife. He told his brother and his cousin, and called his wife once there, but didn’t give his specific location. Sounds like someone trying to evade an assassination to me. In the end it was his love of the limelight that would be his downfall. If what his cousin is saying is true, he should have stayed in Africa. He came back, and initially laid low, doing local standup shows but refraining from returning to Hollywood and television. But eventually he felt the need to talk, he needed to tell his story to the world. So he went onto Oprah. When you watch the Oprah interview, you can see that she is playing her Illuminati part, in trying to portray him as someone who broke down from the fame, buckled under the pressure. Dave’s body language looks like the unconscious messaging of a broken man. Clearly he is conflicted at this point, wanting to return, to tell his story, to possibly get his show back, but at the same time confronted by Illuminati devils everywhere he turns, trying to control his movements, his image, his story. 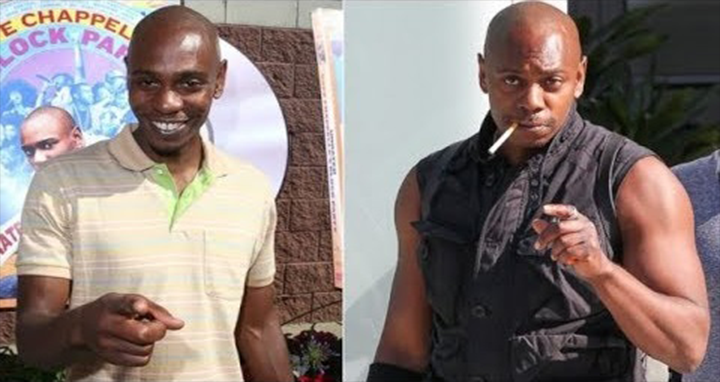 According to his cousin who does not wish to be named, it was not long after the Oprah interview that Dave Chappelle was killed and cloned. The way they did it was by luring him back into the Hollywood executive office, back to the round table of exec types who push the Hollywood agenda, by offering him his show back, with full creative license to Dave. Sounds too good to be true, but Dave fell for it. It was his love for the show that did him in. His cousin warned him, “don’t do it, it’s a trap.” But Dave wanted to believe. Dave promised his cousin that he would call her right after the meeting with the executives. She never received and still has not received that phone call. She tried calling his cell shortly after the meeting. Someone else picked up, a stranger’s voice, who told her that Dave was not there and hung up. She tried again and the phone became disconnected. She believes the Illuminati took Dave to an underground base where they sampled his DNA and murdered him. Then through the use of something called organic robotoid cloning, they grew a new Dave in a matter of hours. Now with clones, they are going to look similar but not exact. They had this problem before where family members recognize that the person coming home to them is not their loved one. Oddly enough, Putin’s ex-wife testified about this same thing, a few years back. Since they knew Dave’s wife and kids would not be fooled by the clone Dave, they killed and cloned them as well.